The BUZZ has the secrets, favorites, tips and fresh ideas for enjoying daily life in and around Jacksonville. The First Coast hosts countless events year round – from professional and amateur sporting events to world-class dance, theater, concerts and shows. Check us out daily for the best entertainment, food, drinks, music, arts & culture, film, fashion and events in JAX. Let this Jacksonville events calendar be your guide when you’re looking for something to do today, this weekend or in the coming months. Consult our list of events to find the best things happening in the city year-round. Jacksonville is the largest city in Florida and encompasses everything from residential neighborhoods to bustling beaches. It sits at the mouth of St. John’s River and has one of the state’s youngest populations and a surprising amount of history packed into the streets of this southern metropolis. It is one this country’s best kept secrets and a getaway location where there’s plenty to do, there’s never any rush to get it done. Jax, as it is commonly known, is perfectly positioned along the Atlantic Ocean in northeast Florida, and is a natural paradise for visitors looking for an affordable yet luxurious destination. The “River City” boasts more than 20 miles of wide and uncrowded beaches, close to 40 miles of the tranquil Intracoastal Waterway canal, and the longest stretch of the beautiful St. Johns River. On land, Jacksonville is home to the largest urban park system in the nation, with 10 state and national parks. Check back each week for the best things to do in Jacksonville, and everything event related in Jacksonville, Florida. #3 Jax Eats Food Festival- Enjoy the best grub that North Florida has to offer before the Icemen Game at the Jacksonville Veteran’s Memorial Arena on February 9th at 4:30pm! #1 Run to finish breast cancer at the Donna Marathon Weekend, returning with a new course this year that will start and finish in the heart of Atlantic Beach. Kicking off on Friday February 8th through sunday february 10th. To Check out all of our events or add your BuzzWorthy event, go to JacksonvilleBuzz.com Alright Jax, Go out an have some fun out there. Thanks for watching The BUZZ This Week, I’m Brittany & I’ll see you right here next week on BUZZ TV! Starting at #5 The Florida Forum Speaker Series bringing some of the most influential leaders and celebrated personalities of our time to the Moran Theater on Monday January 28th at 7:00 PM! #3 Godspell is on stage now until February 10th at The Alhambra Theatre & Dining, where guests can enjoy a three-course meal that and a Broadway-style performance! #2 Take a step up to make a positive impact for those affected by lung disease. With Fight for air climb, to support the American Lung Association’s mission while climbing the stairs of the Bank of america skyscraper February 2nd Starting at 8 AM. #4 Two amazing stars, one great night of comedy! It’s Howie Mandel LIVE– The actor, comedian and producer brings an impressive show with special Guest PREACHER LAWSON, hitting the thrasher horne center stage on January 27th at 7pm! #2 The Northeast Florida Premiere of The Bridges of Madison County, playing on the Mainstage at Players by the sea from January 25th until February 16th! #1 The Oscar, Emmy, and Grammy Award winning icon CHER brings here Here WE GO AGAIN TOUR to the Jacksonville Veterans Memorial Arena January 23 at 7:30PM jaxarena.com/events/2019/cher-here-we-go-again-tour2To Check out all of our events or add your BuzzWorthy event, go to JacksonvilleBuzz.com Alright Jax, Go out an have an amazing time. Thanks for watching The BUZZ This Week, IM Brittany & I’ll see you right here next week on BUZZ TV! Here are The Buzz top 5 events around Jacksonville, FL this upcoming week…. #3 Yakov Smirnoff replaces sadness and tears with love and laughter with his latest Comedy- The Happily Ever After Tour coming to Jacksonville Saturday January 19th at 4:30 PM at the Terry Theater. Alright Jax, Go out and have an amazing time. Thanks for watching The BUZZ This Week, IM Brittany & I’ll see you right here next week on BUZZ TV! Jacksonville Entertainment Enthusiast Brittany with take us through the Top Events around Jacksonville each week on, The Buzz this Week! Starting at #5 Rock of Ages! Come Feel the Noise and rock to the music of hit bands from all era’s of top Rock & Roll Hits, such as Styx, Poison, Twisted Sister, and many others at the Moran Theatre on January 10th at 7:30PM. #1 Come watch your Favorite Pro wrestlers hash it out first hand with WWE Smackdown Live at the Veterans Memorial Arena on Tuesday, January 8TH @ 7:30 P.M.
Alright Jax, Go out an have an amazing time. Thanks for watching The BUZZ This Week, IM Brittany & I’ll see you right here next week on BUZZ TV! Hey everyone! Welcome back to with The Buzz this week. This week I’m making sure you all are Kicking off the holiday season right- with the Buzz top 5 events around Jacksonville, FL this upcoming week…. St. Augustine’s Beautiful 25th Annual Night of lights Experience- where the entire old city is gleaming with lights and Holiday cheer! Happening Each night from now into January. Alright friends, I hope You all have a Very Merry Christmas & HAPPY NEW YEAR! Thanks for watching The BUZZ This Week, IM Brittany & I’ll see you right here in 2019-On BUZZ TV! Lets see whats made the Buzz top 5 events around Jacksonville, FL this upcoming week…. Starting at #5 Jacksonville Symphony’s First Coast Nut Cracker. Jacksonville’s full symphony Orchestra will perform with Tchaikovsky’s Ballerina’s December 14-16 performing at 2pm & 8PM At the Moran Theater.. Lets see what’s made the Buzz top 5 events around Jacksonville, FL this upcoming week…. #4 The St. Augustine Orchestra Makes it a “December to Remember” with the city’s first Sound of the Season Holiday concert on December 5th at the beautiful Lightner Museum Beginning at 8PM. Welcome back to with The Buzz this week, SO much fun happening this week to kick off the Holiday’s, it was a tough choice; let’s check out what’s made the Buzz top 5 events around Jacksonville, FL this upcoming week..
#4 Tony’s Turkey Trot for Brain Injury Awareness. Come run walk or wobble for a cause on November 22nd starting at 8 AM in Atlantic beach. Alright friends, I hope you all have a Happy ThanksGiving. Thanks for watching -The BUZZ This Week, I’m Brittany & I’ll see you right here next week, on BUZZTV! Hey everyone, Welcome back to with The Buzz this week, the top 5 events you want want to miss, happening around Jacksonville, FL this upcoming week. Hey everyone! Im Brittany with THE Buzz This Week, The Top 5 events, you don’t want to miss, happening around Jacksonville Florida, This upcoming week. Starts October 31st at the Jacksonville Fairgrounds. #4. Max Weinberg’s Jukebox Oct 26 at the Florida theatre starting at 8 PM. To check out these and other events, click iwantabuzz.com/jax-events. SUNDAY, OCTOBER 14, 2018 AT 3:00 P.M.
#4 WAREHOUSE 31 BRINGS THE SCARES THURSDAY OCTOBER 4TH AND WEEKENDS BUILDING UP THROUGH HALLOWEEN. ON BEACH BLVD OFF OF 295. STARTS THURSDAY SEPTEMBER 27TH AND RUNS THROUGH THE WEEKEND. SEPTEMBER 29TH AT 8 P.M.
#2 DARIUS RUCKER IN CONCERT AT DAILY’S PLACE. The Buzz This Week – Events in Jacksonville – Week of July 16, 2018 from Buzz Media Group – BUZZ TV on Vimeo. The Buzz This Week – The best Events in Jacksonville – Week of July 9, 2018 from Buzz Media Group – BUZZ TV on Vimeo. 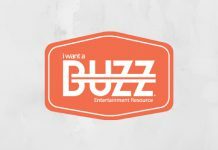 The Buzz This Week – Events in Jacksonville, FL – Week of July 2, 2018 from Buzz Media Group – BUZZ TV on Vimeo.